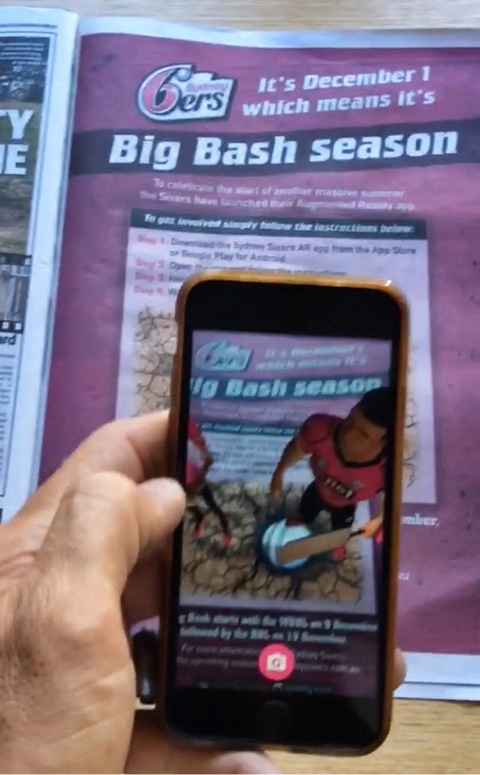 The first day of Summer has seen the Sydney Sixers launch their BBL07 campaign with an Augmented Reality App supported by a full page advertisement in the Daily Telegraph. 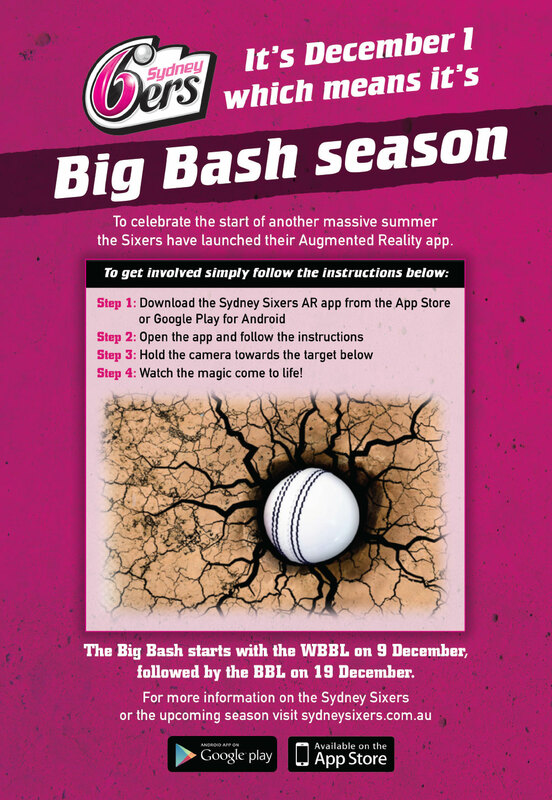 Sydney Sixers AR gives sports fans the chance to interact with Augmented Reality animations announcing the start of summer and the Sixers schedule over the coming months. 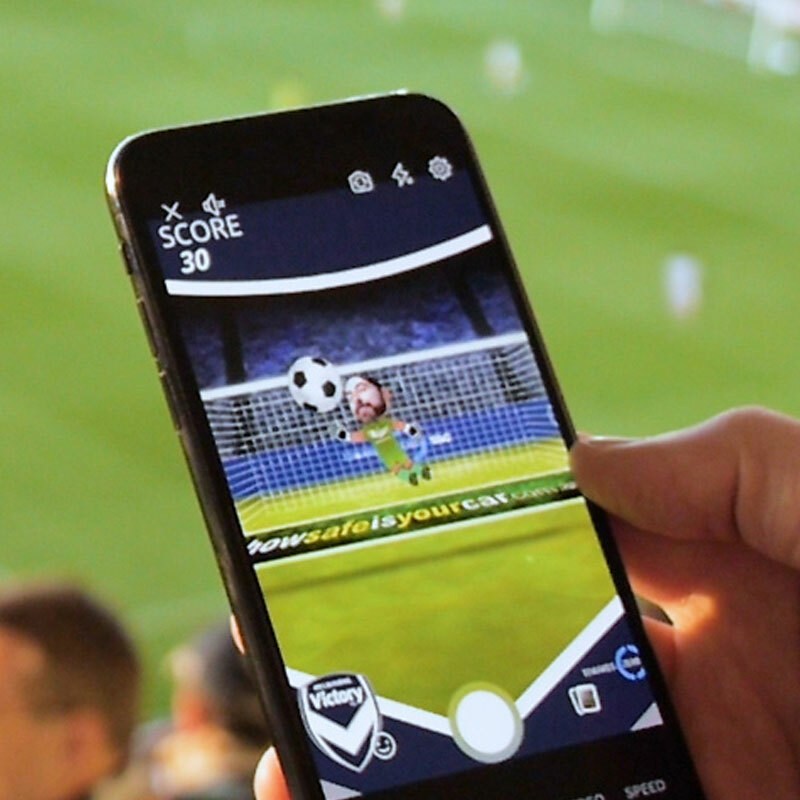 AR HAS SEEN A METEORIC RISE OVER THE LAST 12 MONTHS – POKÉMON GO INTRODUCED AR TO MILLIONS OF KIDS WHO ARE NOW COMPLETELY COMFORTABLE WITH THE TECHNOLOGY. 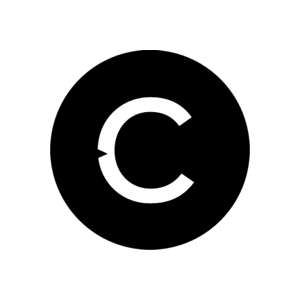 AND THE RECENT RELEASES OF ARKIT AND ARCORE HAVE OPENED UP EXCITING NEW OPPORTUNITIES FOR MARKETERS. 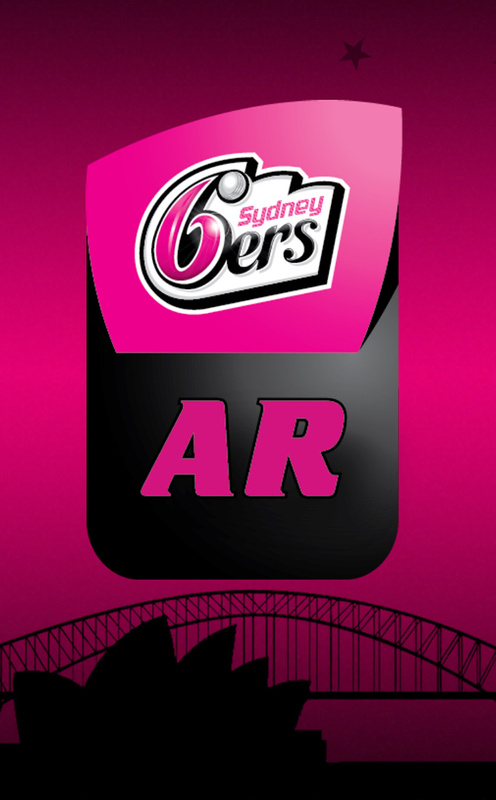 Using ‘traditional media’ to amplify the latest marketing technology the launch of Sydney Sixers AR gives fans a taste of what they can expect this summer with the Sixers leveraging Augmented Reality to create unique experiences and new ways to interact with the club at home and at the SCG, as well as various other community activations. 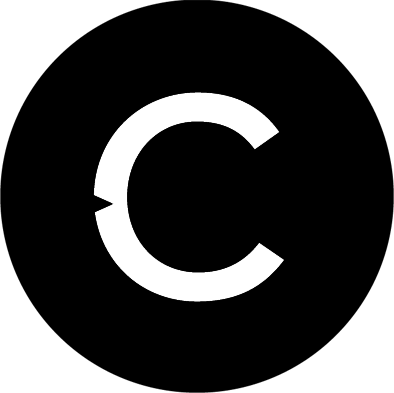 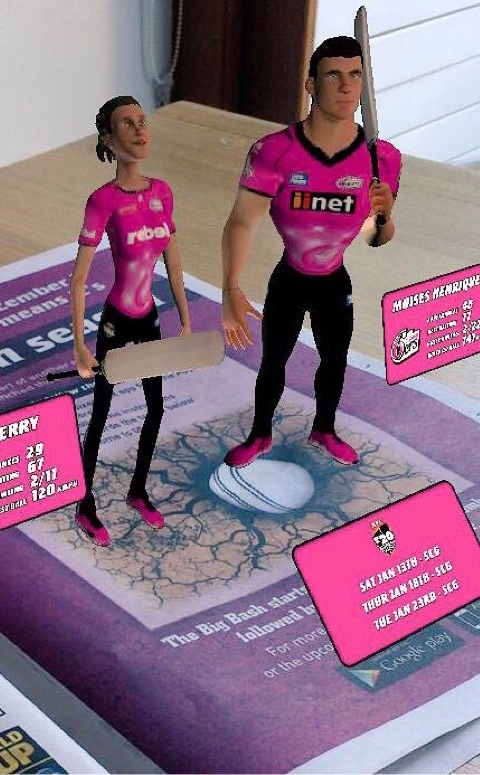 Catalyst VR developed the AR Animations and Application with the Sydney Sixers who saw Augmented Reality as a brilliant way to engage and entertain their target market of young families and sports fans.